These days you rarely see anyone without a mobile phone in their hand. We rely on them for almost everything, from making phone calls, to looking something up on the internet, to finding our way from A to B. When it comes to choosing the perfect mobile phone everyone looks for different things. Whether it’s an excellent camera and stunning retina HD display you’re looking for, or something that simply does what it says on the tin, our extensive range of mobile phones is bound to offer a phone to suit your needs. 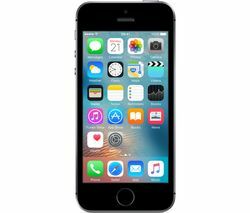 We stock the latest Apple iPhones, including the ultra-sleek Apple iPhone 7, which sports impressive twin 12MP cameras with 2x optical zoom, water resistance and an Apple A10 processor, making it the fastest iPhone yet. 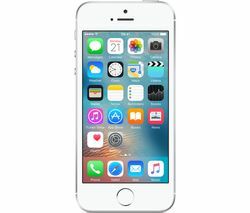 Apps open instantly, HD videos are played flawlessly and the touch screen is more responsive than ever. We also stock the latest range of Samsung phones, including the stunning Samsung Galaxy S8. Its Infinity Display makes for a gorgeous phone that both looks and feels great. Plus it sports a 4K camera and boasts Quad HD visuals for a seriously impressive display. And, of course, our mobile phone range includes most other household brands such as Blackberry, Huawei and Sony so you can shop around to find a product that offers all those little extras that will make your life easier. Be sure to watch out for our great mobile phone deals to make excellent savings when making your next purchase.